Everyone has certain physical features that they don’t like about themselves. These features could be feet, nose, ears, knees or even hair. This is normal and most people don’t let it effect their daily lives. However, if you tend to ruminate about these perceived flawed body parts for more than a couple hours a day, you might be suffering from body dysmorphic disorder (BDD). BDD is a serious disease that many times can effect individuals quality of life by hindering their ability to interact with friends or family and can cause them to isolate themselves. Other physical problems and mental disorders can arise if not treated properly. Being engrossed with physical appearance which often others can’t see. Obsessed with looking or avoiding mirrors. Excessive grooming, such as hair combing or plucking. Avoid being in any pictures. Frequent cosmetic procedures with little satisfaction. Believes that other notice ones appearance in a negative way. Difficult dealing with any social situations. Envy of a friends physical appearance and constantly compares their bodies. Always seeking reassurance about their appearance from others. Being so preoccupied with appearance that it causes major distress in social life. "Release Yourself From The Past And Live In Happiness On The Present…." ADAA.org - Anxiety and Depression Association of America has many helpful resources regarding body dysmorphic and best ways to cope with this disorder. Body Dysmorphic Foundations - BDF helps advance education of the public and healthcare professionals, helping them to understand the nature of BDD and how it might best be treated. 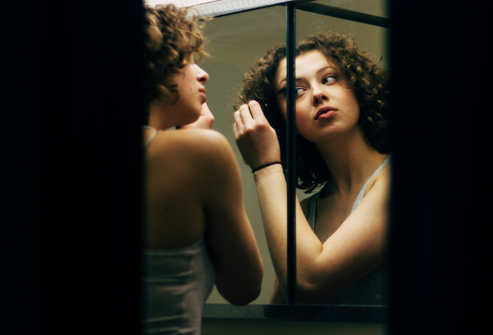 Mayo Clinic - Offers great overview of body dysmorphic disorder and includes treatments, symptoms and self management help.